PowerTags are energy sensor modules for 1P, 1P+N, 3P and 3P+N networks. 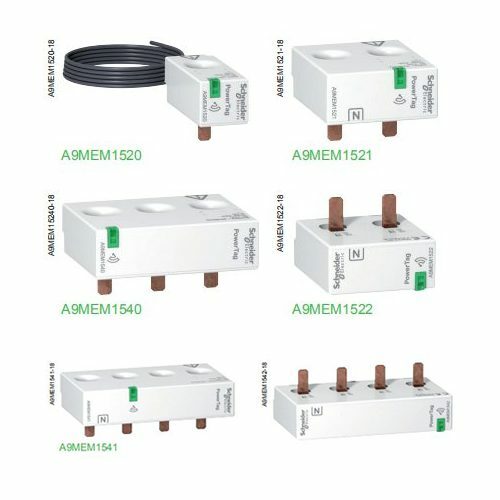 They are mounted directly on equipment of the Acti 9 or Multi 9 range at intervals of 18 mm up to 63 A.
b Cumulative active energy, total and partial (kWh). Installed upstream or downstream of a protective device, they measure useful data for diagnosis of the associated circuit. b Class 1 measurement accuracy of energy and current, and class 0.5 of voltage.